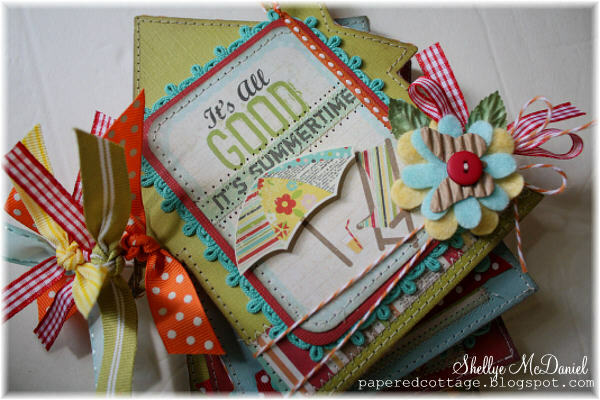 I created this sweet "It's Summertime" mini scrapbook album today and got it listed over at my Dot & Whimsy shop. With all of the Design Team work going on, it's been quite some time since I've gotten anything added to my shops. I took little bits of my left-over (and much loved) "100 Days of Summer" Kit from Back Porch Memories. This kit has gone the mile! We're gearing up for a special Summer here at the Stash! First, we have a brand new Design Team to inspire. I'm so excited to work with them and I know you'll enjoy everything they have to offer. Look for a Blog Hop later this month, contests and of course CHA! With CHA just a few weeks away, we're trying to make room for all of the new stuff! Guess what? Some of it is already shipping! We receive in new lines and restocked items each week! Keep an eye on the NEW and SALE sections as we add to them each week. I'm now on Pinterest and pinning like crazy! Knowing that I tend to have an obsessive type personality, I have to stave off after about thirty minutes (or so). I love seeing all of the creative things out there and grabbing new ideas for crafty and food projects ♥ With Halloween quickly approaching (hey, I start decorating in September!) I'm really enjoying all the cute-sy stuff! Be back in a couple of days! Ooh Shellye, this is GORGEOUS! Love the colours, the design, FAB! 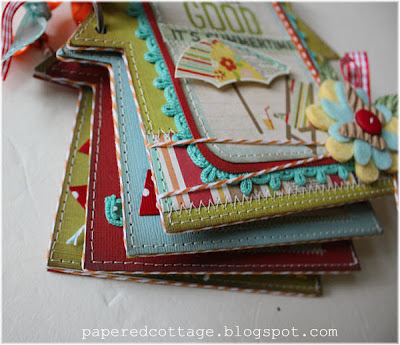 WOW - some STUNNING projects on your blog. New follwer and off to see some more posts for great inspiration! This mini is just a bundle of fun!! I absolutely love it! !